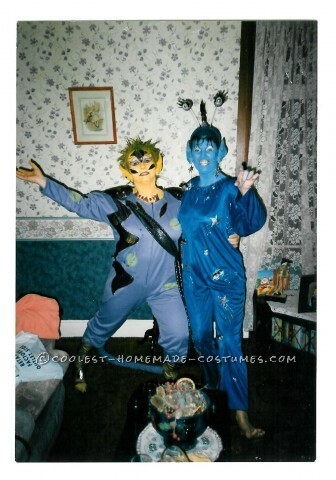 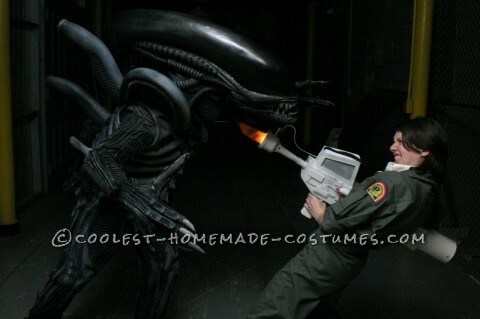 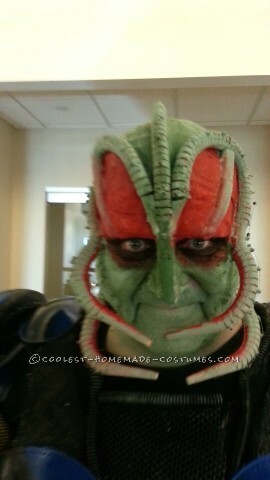 Anything goes in this collection of extremely awesome alien costumes. 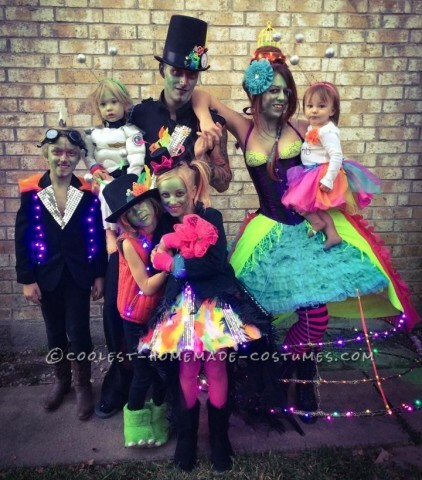 From Creepy to cool, these DIY costumes will seriously stun on Halloween. 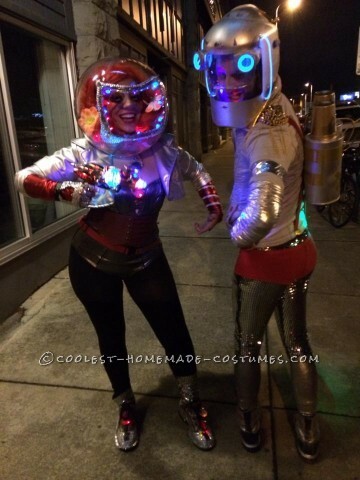 So hop about your costume spaceship and take a look at the coolest costumes below. 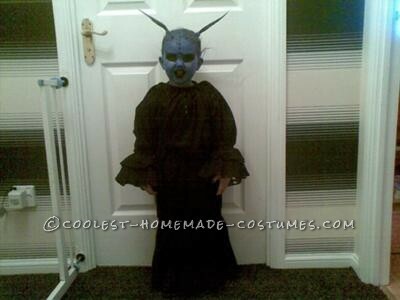 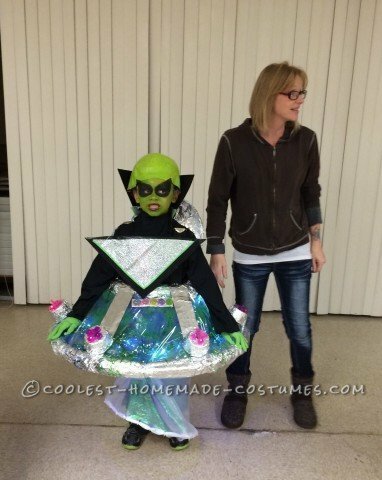 Go bold and mysterious with awesome homemade alien costumes this Halloween. 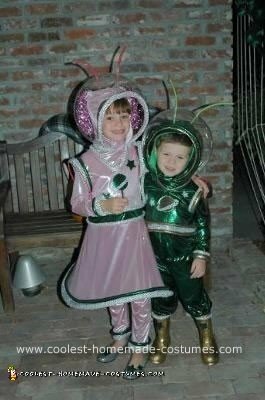 Choose a green and slimy or metallic and shiny costume. 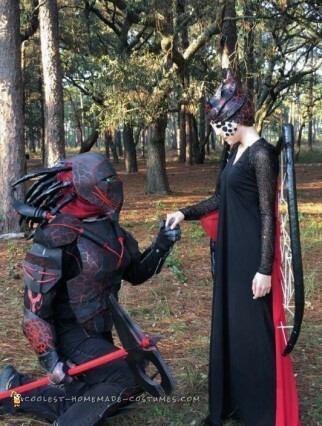 Whatever you decide, the more unexpected, the better. 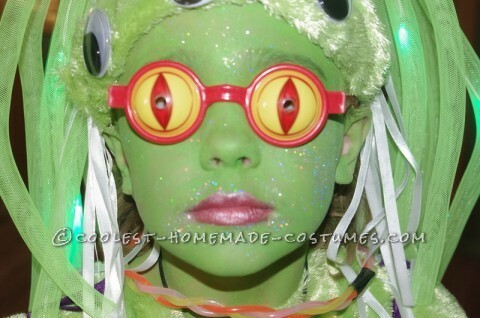 So, pick an amount of eyes for your homemade costume. 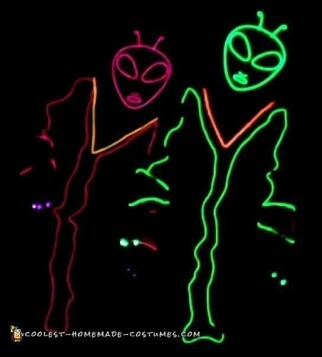 Glow in the dark. 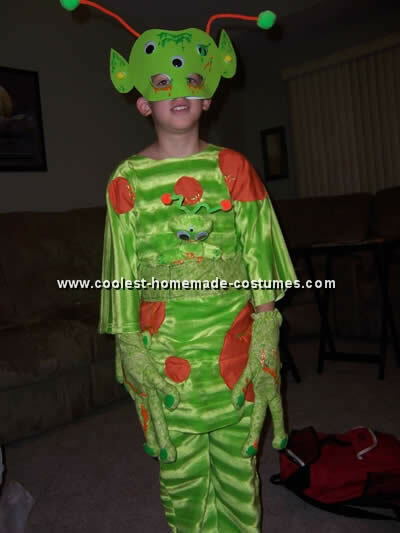 Or create tentacles for days. 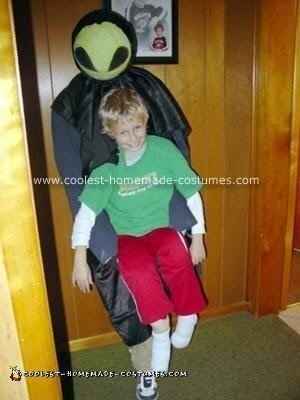 The possibilities for DIY costumes are endless. 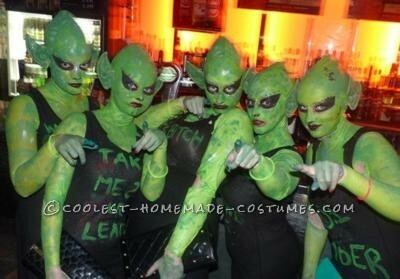 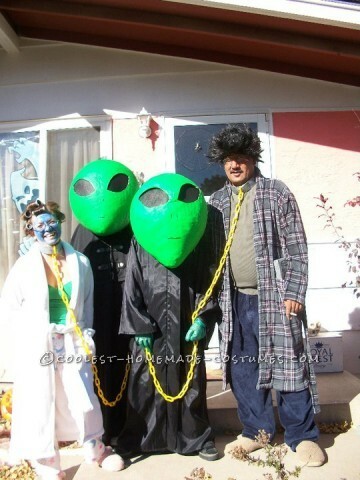 Also, check out the alien abduction optical illusion costumes here. 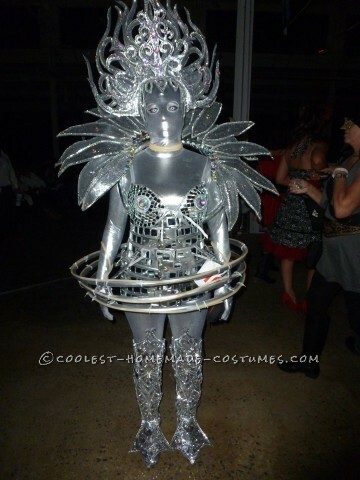 Practice your most scared expression to pull off this dramatic and hilarious costume. 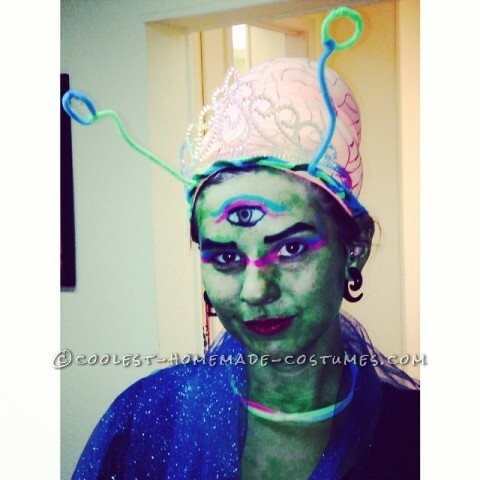 In addition, discover the secrets behind these out-of-this-world costumes. 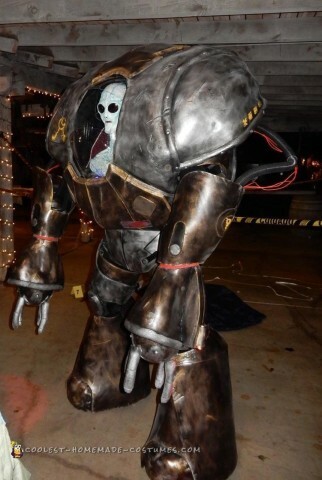 Learn from the DIY costume tutorials how you can create your own. 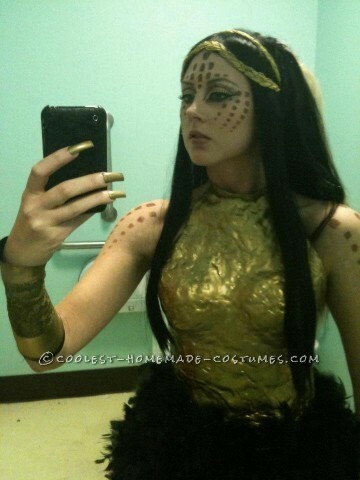 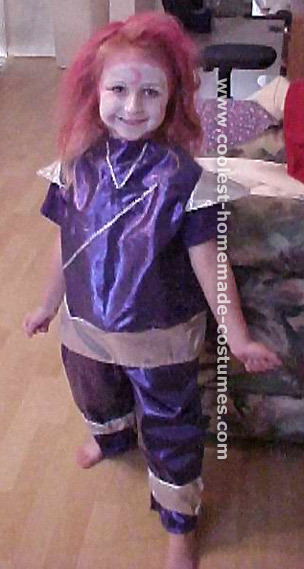 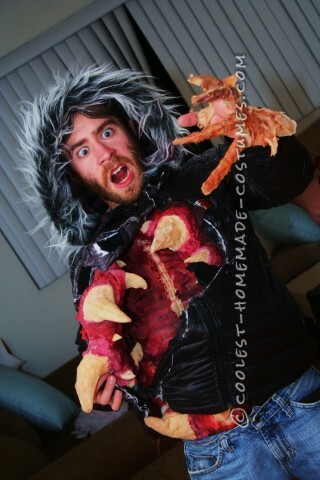 So, for the most insanely cool and creative DIY costumes, check out this collection of homemade costumes. 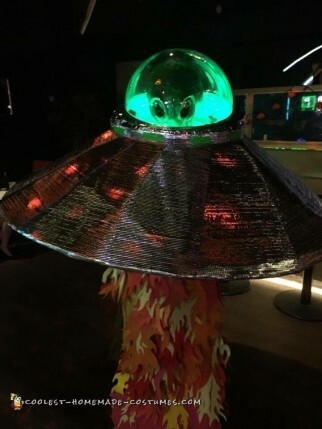 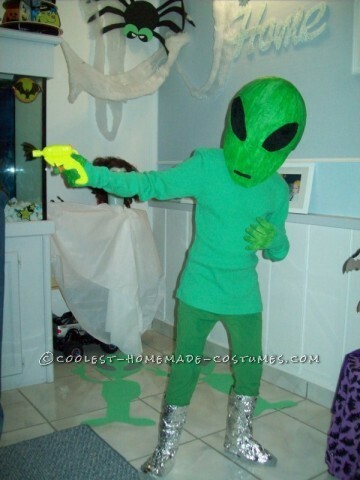 Awesome UFO Alien Costume that Lights Up!